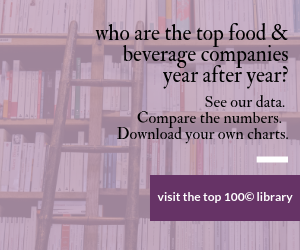 It's no secret the past several years have been challenging for the food and beverage industry. Food processors and manufacturers are dealing with tremendous volatility in the commodities market. They face media scrutiny around food safety and have financially strapped customers that are making fewer shopping trips and buying less. These challenges have strained companies' capital resources and slowed their economic growth. Of the various advisors that food processors work with, banks with in-depth knowledge of the food industry are increasingly critical as they have the experience and resources to help food companies overcome these challenges. These banks provide access to capital, help to mitigate the impact of commodity volatility and first-hand understanding of the influence of the global economy on day-to-day operations. They understand the business model, the competitive landscape and how to keep the flow of capital moving. What happens if raw materials costs or fuel costs rise if new equipment is needed or if government regulations change? How will these factors impact a company's ability to get food onto store shelves or to restaurants? This is when and where an educated banking partner can add value for food processors. Financial institutions understand the volatility in commodity pricing and how it can impact capital needs. They provide equipment leasing options and constantly monitor government regulations that may require production modifications and additional capital resources. Elizabeth Hund is a senior vice president and head of U.S. Bank's Food Industries division (www.usbank.com/foodindustries). To keep the capital engine moving, food companies need a banking partner that understands how the food industry works and the issues and obstacles that must be monitored and overcome to get products to consumers. With this deep knowledge of the food industry, bankers become valued strategic partners and resources. Today, more than any other time in history, what happens around the world has a major impact on the domestic food industry. From the growing demand for protein in China to the bio-fuels market, there are changing world conditions that influence raw materials costs. And large swings in commodity costs driven by these uncontrollable factors directly impact the bottom line. To manage the volatility, companies need to have the necessary liquidity or access to capital. Banks that focus on food industries are prepared to deal with the demands for capital that will come as a result changing conditions. These financial institutions understand the economic issues relating to food and agriculture and are ready to lead sophisticated discussions and strategy execution. If money does not flow into food companies during volatile times then, at best, things slow down; at worse, everything stops. One of the major concerns for the food industry is the state of the global economy. Europe, Canada and Japan have become critical banking partners to U.S. industries. Unfortunately, recent European crises have further emphasized the need to have a variety of funding resources, including a strong U.S. partner. A diverse base of financial partners helps reduce the impact on capital resources when there is stress in one segment or region of the financial community. Educated bankers understand how economic conditions in one area of the world can impact food businesses in the U.S. A banking partner can help prepare these businesses to compete more effectively in the global marketplace, positioning them with capital resources that will help them successfully ride the waves of uncertain times and market conditions. Every business cares about having access to money. What the banking industry can add to current financial conversations in the food industry is experience with how access to capital is influenced and obtained. Help forge strategies and serve as advisors to C-level executives to help them plan for future capital needs. Identify obstacles in international trade and expansion. Build relationships with equipment vendors and service providers. Share insights about why parts of the world are experiencing financial crisis while others are struggling to keep pace with prosperity. Banks have billions of dollars invested in food businesses, and are active participants in the ebb and flow of the industry. More importantly, they want to see their clients succeed. These industry-specific lenders are working to ensure that capital is available at any point along a product's lifecycle to help food companies get their products onto store shelves and into the hands of consumers.